A pink coat and a tan shift dress are indispensable sartorial weapons in any modern woman's sartorial arsenal. 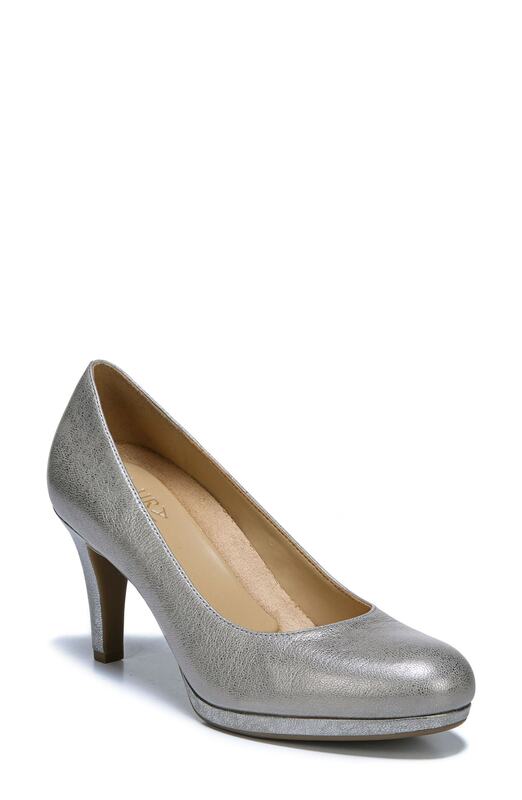 Now all you need is a nice pair of Naturalizer Michelle Almond Toe Pump from Nordstrom. Consider wearing a black midi dress to pull together a totaly chic and current casual outfit. On the footwear front, this look is complemented really well with silver leather pumps. A black silk sleeveless top and black leather shorts are totally worth adding to your list of true casual must-haves. To bring some extra glam to this ensemble, introduce Naturalizer Michelle Almond Toe Pump to this getup. When the setting calls for a polished yet killer outfit, reach for a light violet satin sheath dress. Add a pair of Naturalizer silver leather pumps to this outfit and you're all set looking smashing. For a casual look with a twist, you can easily rock a black crew-neck sweater and a black lace midi skirt. Naturalizer Michelle Almond Toe Pump from Nordstrom will take an otherwise standard ensemble in a more sophisticated direction. For something on the casual end, consider this combo of a light blue denim shirt and pink skinny jeans. For extra fashion points, add Naturalizer silver leather pumps to the mix. When you need to go about your day with confidence in your look, choose a grey crew-neck sweater and a brown leather mini skirt. Introduce a pair of Naturalizer Michelle Almond Toe Pump from Nordstrom to the mix for extra style points. An aquamarine blazer and aquamarine skinny pants matched together are such a dreamy combination for those dressers who appreciate relaxed styles. When not sure as to what to wear when it comes to shoes, go with Naturalizer Michelle Almond Toe Pump. If you like relaxed dressing, opt for a red ruffle sheath dress. For extra style points, introduce silver leather pumps to the mix.